The crew has been selected, and research studies confirmed for the 2017 mission of the Hawaiʻi at Mānoa’s Hawaiʻi Space Exploration Analog and Simulation (HI-SEAS). At approximately 3:30 p.m. on January 19, 2017, six astronaut-like crewmembers will enter a geodesic dome atop Mauna Loa on the island of Hawaiʻi as part of an eight-month research study of human behavior and performance. The NASA-funded project aims to help determine the individual and team requirements for long-duration space exploration missions including travel to Mars. HI-SEAS principal investigator and UH Mānoa Professor Kim Binsted is proud of the project’s contribution to understanding human behavior and performance in space. During the eight-month HI-SEAS Mission V the crew will perform exploration tasks such as geological fieldwork and life systems management. The isolated and confined conditions of the mission, including 20-minutes of delayed communication and partial self-sufficiency, have been designed to be similar to those of a planetary surface exploration mission. Daily routines include food preparation from only shelf-stable ingredients, exercise, research and fieldwork aligned with NASA’s planetary exploration expectations. Under the watchful eye of the research team and supported by experienced mission control, the crew will participate in eight primary and three opportunistic research studies. The NASA-funded primary research will be conducted by scientists from across the U.S. and Europe who are at the forefront of their fields. The primary behavioral research includes a shared social behavioral task for team building, continuous monitoring of face-to-face interactions with sociometric badges, a virtual reality team-based collaborative exercise to predict individual and team behavioral health and performance and multiple stress, cognitive countermeasure and monitoring studies. Top row, from left: Ansley Barnard, Samuel Payler and Laura Lark. Bottom row, from left: Joshua Ehrlich, James Bevington and Brian Ramos. 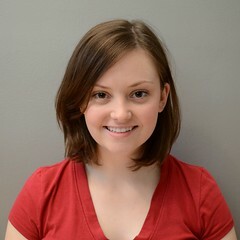 Ansley Barnard is an engineer from Reno, Nevada who has worked for NASA and Boeing on advanced composite structures and has designed aerodynamic bodywork for cars racing in the 100th Indy 500. She has a BS in aeronautics and astronautics from the University of Washington. 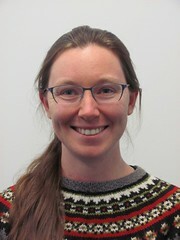 Prior to HI-SEAS, she worked in engineering optimization for Ford Motor Company. Samuel Payler is a doctoral candidate at the UK Centre for Astrobiology, University of Edinburgh. He has been involved with a number of analog programs including NASA’s BASALT program, the MINAR project and BISAL which is the world’s first deep subsurface astrobiology laboratory. He has an MSci from the University of Birmingham and prior to HI-SEAS was researching life in hypersaline deep subsurface environments. Laura Lark is a computer scientist who grew up on a small farm in unincorporated Whatcom County, Washington. She has a BS in computer science from Brown University and, prior to joining the HI-SEAS crew, spent five years as a software engineer at Google working on search serving and indexing infrastructure. 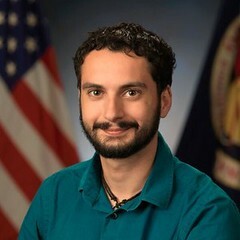 Joshua Ehrlich is a systems engineer for Lockheed Martin working on test and verification of the Orion European Service Module. He has a BS in aerospace engineering from the University of Florida and an MS in mechanical engineering from Embry-Riddle Aeronautical University. His previous work experience includes integration and testing on both the SpaceX Falcon 9 launch vehicle and Veggie and Advanced Plant Habitat payloads at NASA’s Kennedy Space Centre. 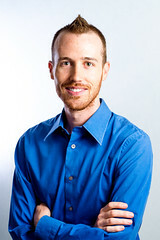 James Bevington is a freelance researcher with a passion for space. He has a BSC from the University of Tennessee, an MSc from the University of Georgia and an MSc from the International Space University. Prior to HI-SEAS he was a visiting researcher at International Space University and a consultant for Northwestern University. 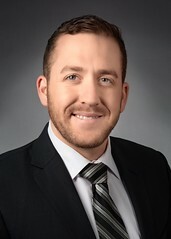 Brian Ramos is a Portuguese-American with dual engineering degrees in biomedical and electrical engineering. He also has a master’s degree in international space studies from the International Space University. 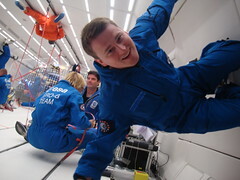 Prior to joining HI-SEAS his professional experience included project work at NASA’s Johnson Space Centre and work with Engineering World Health to repair media equipment in Rwanda. HI-SEAS Mission V follows the successful 12-month Mission IV that was completed in August 2016. That mission placed HI-SEAS in the company of a small group of analogs capable of operating very long duration missions in isolated and confined environments similar to Mars500, Concordia and the International Space Station.